Please use a different e-mail address to create a new account. 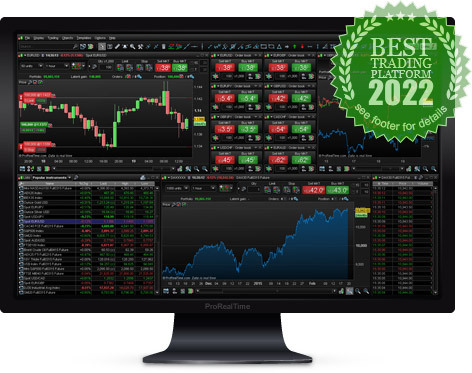 If you want to transfer your current ProRealTime account and your platform customizations and saves to a ProRealTime Trading account, click on the following link. If you wish to keep your current ProRealTime account and its and its saves and create a new and separate ProRealTime Trading account, use another e-mail address to register. Do not hesistate to contact us if you have any questions. To create a new account, use another e-mail address or contact us. I accept to receive newsletters from ProRealTime (new versions of the platform, special offers ...). We only send a few emails per year. ProRealTime will contact you during your account opening process. For the purpose of follow-up of your trial, ProRealTime will contact you during your trial and the following initial period of discovery of our services. to continue creating your account.